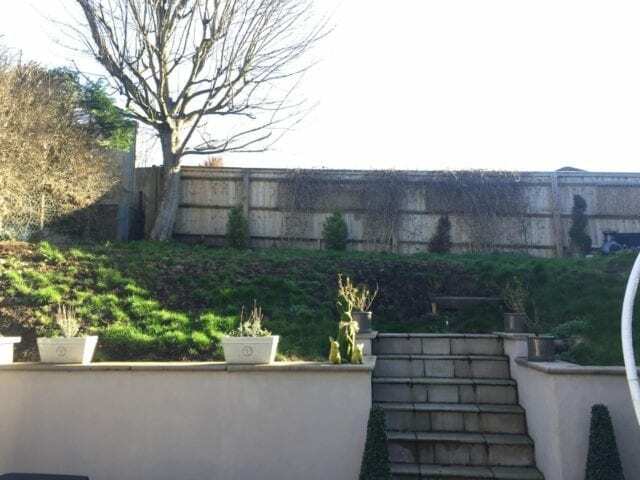 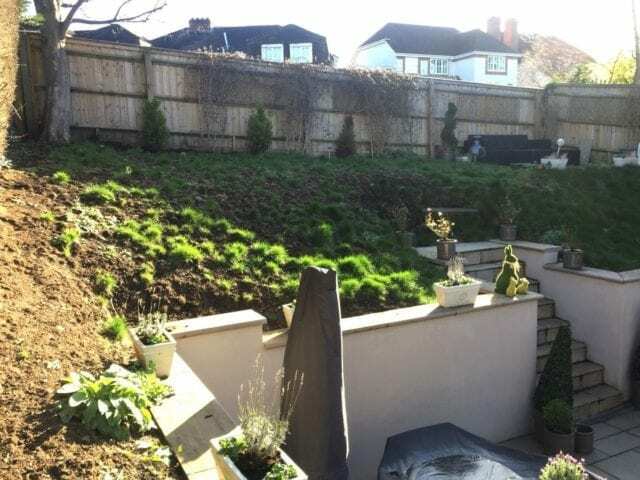 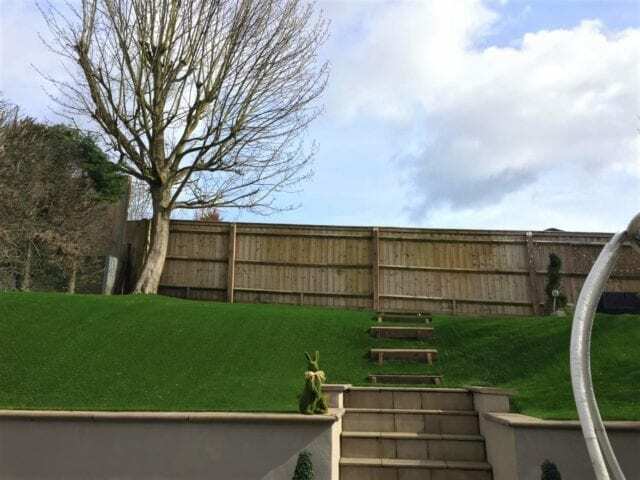 This dramatic sloped lawn is a difficult job even for the most experienced team. 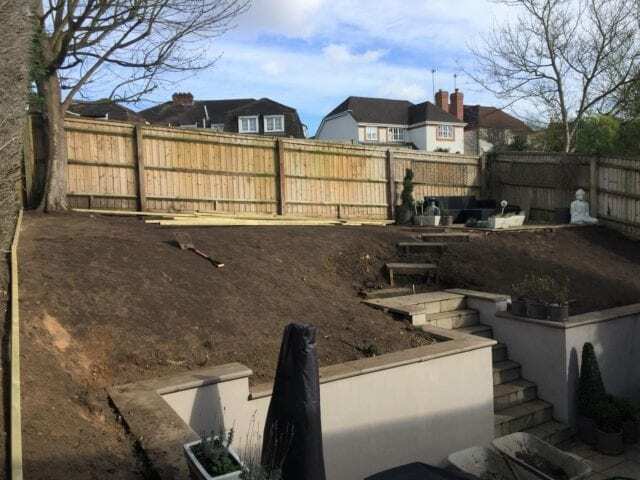 Not only do you have the fact that it is uneven, there are also steps, it’s an unusual shape and there’s decking to deal with! 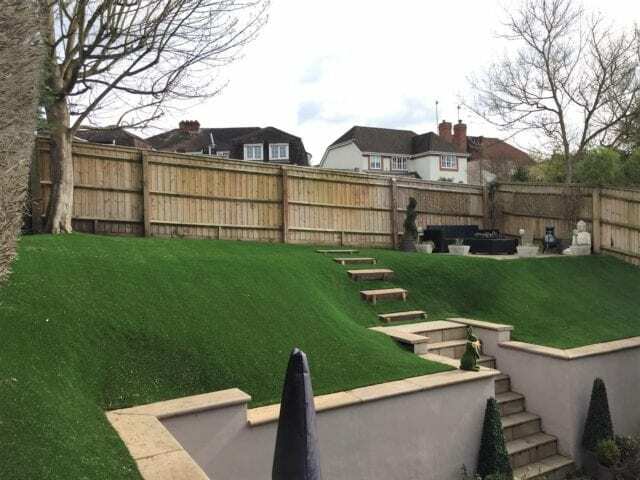 Good job the owners chose Trulawn to transform this area. 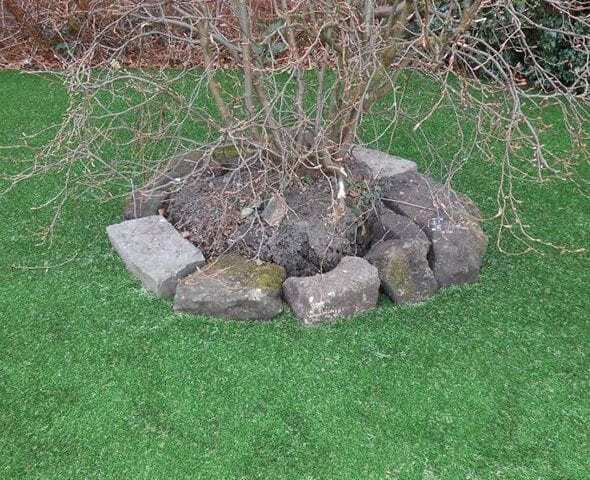 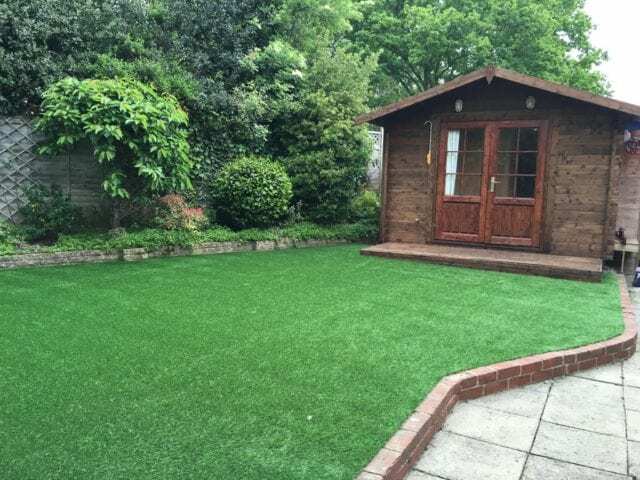 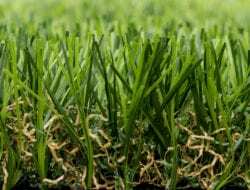 With over 10 years experience in artificial lawn installation alone, there is no project we haven’t already encountered in some form or another. 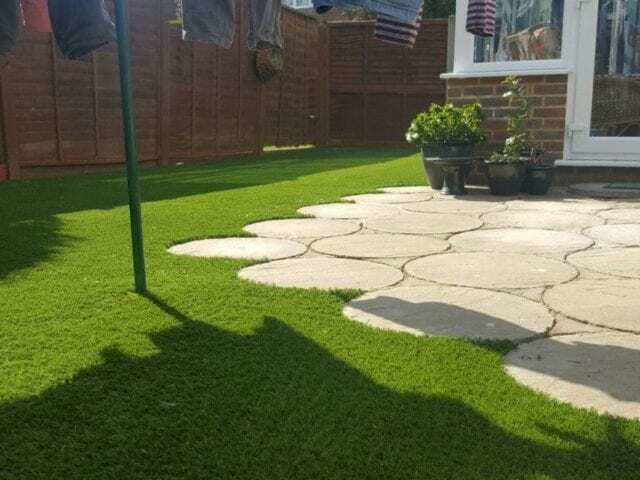 Trulawn Supreme is super soft and super lush.